Pure Perfection will always strive to bring our clients the latest up to date treatments. 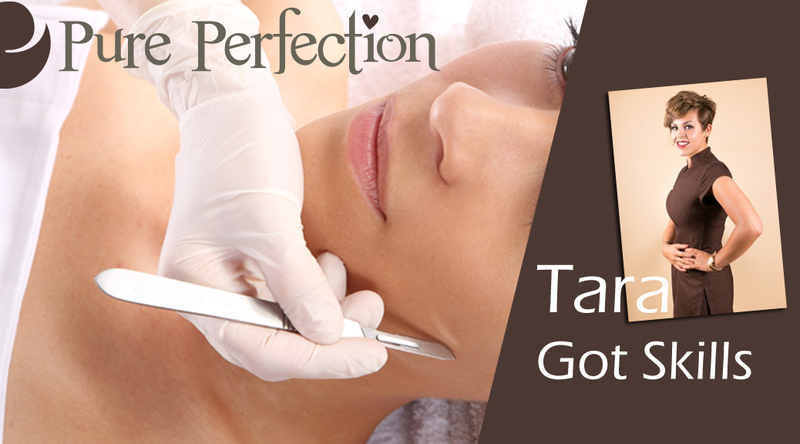 Clitheroe Salon Manger Tara has now added Dermaplaning to her extensive beauty skill portfolio. Book a Dermaplaning Treatment at Pure Perfection Clitheroe Now. This celebrity endorsed treatment (Rachel Hunter, Eva Longoria) is available for a discount special of £50 throughout February at our Accrington Salon. Please call 01254 386268 to book your appointment. To the average person, it’s a highly effective physical exfoliation to gently “shave” the outer layer of dead skin. This treatment also removes the fine vellus “fluffy” hair. The hair does not grow back thicker or darker, it grows back (slowly) just as it was. It’s physiologically impossible for dermaplaning to alter the type of hair growth on your face. The type of clients having this done are typically looking for skin rejuvenation, looking to reduce the appearance of fine lines, wrinkles, acne scars or having more advanced treatments carried out after it such as face peels. Because of the removal of dead skin and hair, the skin will completely absorb any skincare you apply to it, making treatments more effective and work harder in the skin to increase results.